Lower your Occupational Accident Insurance Costs by getting 3 Quotes! 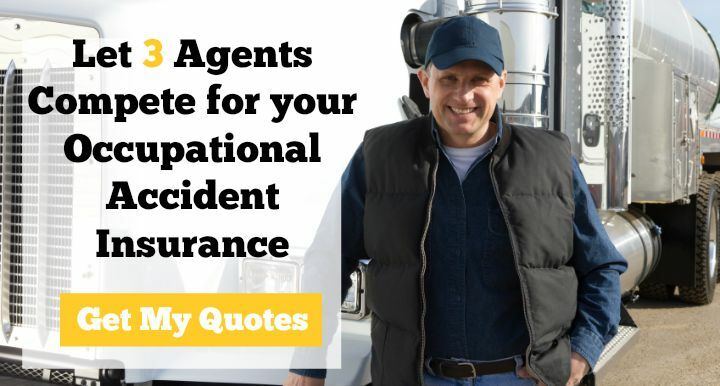 When you’re shopping for Truckers Occupational Accident Insurance, you’ll want to speak to multiple agents, ones who know the trucking industry inside and out. Otherwise, later, you might find a gap in you coverage after an incident has occurred. We can help you find the best mix of cost and coverage on your occupational accident insurance by connecting you with 3 different trucking agents who understand this coverage. They will each offer you a quote and from there, just pick the policy that best suits you. What is Truckers Occupational Accident Insurance? Occupational Accident (or Occ Acc) is a type of insurance, provided by the motor carrier and intended to protect independent contractors and owner operators. This covers a driver if he is injured or killed on the job. In the event of such an accident, trucker occupational accident insurance pays for the driver’s medical bills, disability leave, or reimbursements to his family. This type of insurance is comparable to workers’ compensation, but covers independent contractors. How Much Does Occ/Acc Coverage Cost? This depends on several factors, the chief of which is how many O/Os or independent contractors you are going to insure. After this, the insurance company you go with is another huge factor in premium cost. Companies come to different actuarial conclusions and come up with different premiums. The insurance companies also have many other internal and external factors that influence the rate they offer. It pays to shop around and find the company that is most competitive right now. Other factors that drive the cost up or down would be things like your past safety record, the limits of your policy, and your deductible. Read more about lowering the cost of your occ/acc coverage. While Occupational Accident Insurance and Workers’ Compensation serve a similar purpose (i.e., compensating workers hurt on the job), they do diverge in distinct ways. Make sure your operation has the correct coverage and limits. Most states including Texas, Florida, California, and North Carolina require motor carriers to purchase workers compensation insurance for their employees. A few of these states—Texas and Oklahoma, for example—allow businesses to substitute workers comp coverage with occupational accident insurance instead. Ask your agent whether your business can opt into such a program. The right size policy—a small motor carrier doesn’t need a policy that covers hundreds of drivers. Passenger Accident and Non-Occupational coverages to further protect your business. An Occupational Accident policy with high limits will do a better job protecting you from lawsuits compared to a policy with inadequate limits. If one of your owner operators is hurt and the policy doesn’t cover all of his medical bills, he’s probably going to sue. If you are sued, though, contingent liability, which is often bundled with Occupational Accident polices, comes to the rescue. An independent contractor hurt on the job can sue the motor carrier for workers’ compensation benefits, claiming to have been an employee of the company. Motor carriers across the country sometimes encounter lawsuits like these, and they sometimes lose. A contingent liability policy is built for situations like this and this scenario happens enough to make this coverage almost a no brainer. By offering your contractors and O/O’s great coverage from your Occ. Acc. policy, they will have the confidence to know that they and their families will be taken care of should the unthinkable occur. 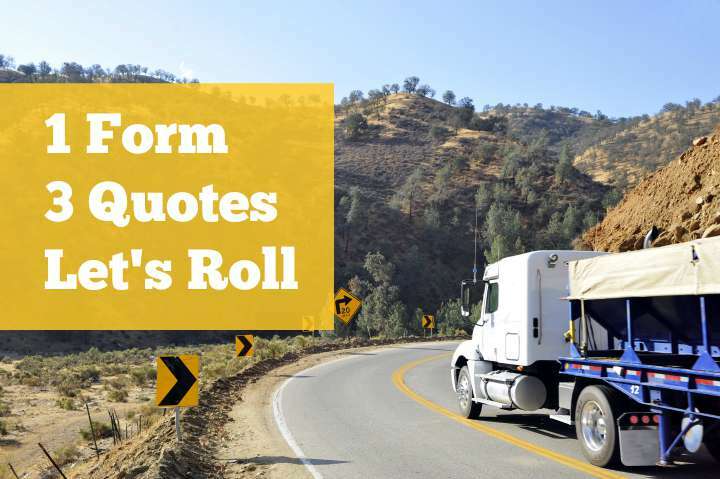 A great policy attracts high-quality truckers to your business and keeps them working for you. It makes your business a better place to work for. As a business, it’s important to find a occupational accident policy that covers what you need while not eating into your bottom line. 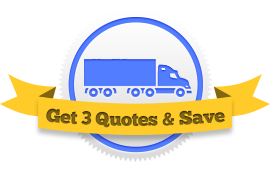 Use our unique and free Request A Quote Form to get in touch with three insurance agents who deal with motor carriers like you. They’ll help you tailor a policy that covers your business, and you can then choose the policy covers you at the best price.